This is what I found outside my house this week. 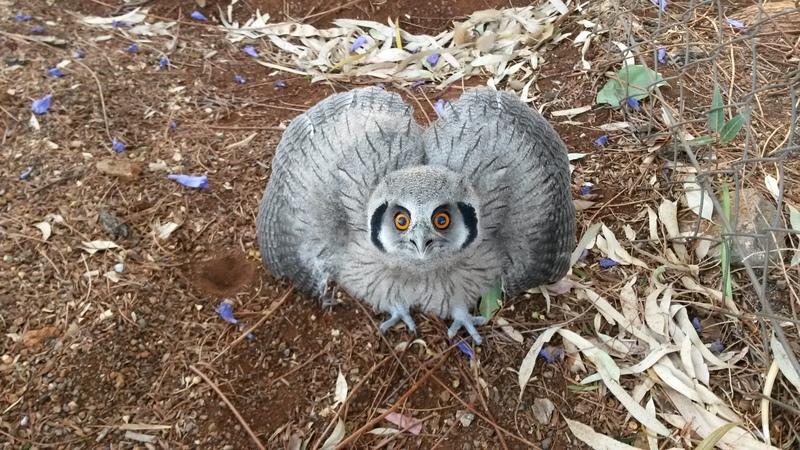 New white-faced owl fledgling that had not learned to fly yet. It put its wings up to make it look very big. Making that clicking warning sound as most young owls make. This entry was posted in Uncategorized and tagged White-face owk by krfarmer. Bookmark the permalink. I have a question about this picture. We want to use this picture in a Dutch animal quiz on NPO1 (Dutch public broadcast channel) as example in one question. Is it alright if we download it? Please let me know whats good for you. You can use the photo. However there might be better photos to be found in the Robert bird book. This photo was just taken with a cell phone.